Rev. Kevin Sandberg, C.S.C., became the Leo and Arlene Hawk Executive Director of the Center for Social Concerns on July 1, 2018. He is the Center's fourth executive director and the first to have been at the Center as an undergraduate participant, as a graduate instructor, and finally as a faculty member. Since joining the Center’s faculty in 2014, Father Sandberg has taught a series of courses around the principle of the common good. Called the Common Good Initiative, the courses are immersions in Catholic social teaching that have brought graduate students from across the University to Haiti, Cuba, Uganda, Jerusalem, Guatemala, El Salvador, El Paso-Ciudad Juarez, and Detroit. Father Kevin also regularly teaches a development of theology course for undergraduate students who have participated in service learning. Father Kevin received his B.A. in economics and an M.Div. from the University of Notre Dame, an M.A. in theology from the Graduate Theological Union/Jesuit School of Theology (Santa Clara), and his doctorate in religion and education from Fordham University. He is a Fellow of the Institute for Educational Initiatives, a member of the board of Ave Maria Press, and a former board member of the Religious Education Association: an Association of Professors, Practitioners, and Researchers in Religious Education. 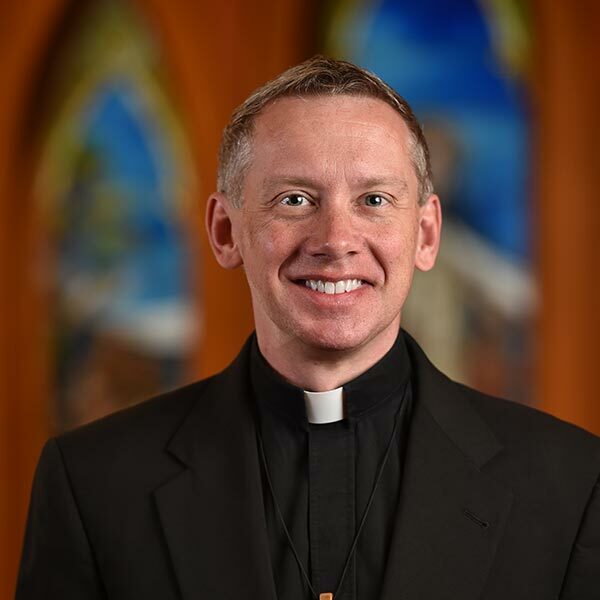 Prior to pastoral ministry as a member of the Congregation of Holy Cross, Father Kevin was a trust officer with the Northern Trust Bank and a financial economist with the U.S. Treasury Department. He was the founding director of Young Adult Community at St. Clement Church in Chicago’s Lincoln Park neighborhood.